and Holy Spirit – equal in essence, power, and glory. We believe that the Scriptures of the Old and New Testament are inspired by God and without error. 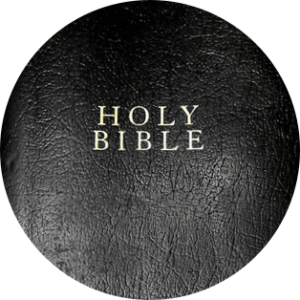 The Bible is therefore the only perfect guide for Christian faith and practice. We believe Man (male and female) was created good and upright in the sight of God. Yet voluntarily and of our own free will, we chose to sin through disobedience and thereby fell under the penalty of death, and our relationship with God was severed. We believe that, as a result of Adam’s disobedience, all his descendants are by nature entirely destitute of holiness. Though capable of moral action, we are all born in rebellion against God, under his righteous and just condemnation. We believe that the Lord Jesus Christ, by his suffering and death, has made atonement for the sin of the world. He is the only Mediator between God and Man and the only Redeemer of Sinners. All who are saved are wholly and completely indebted to His Grace and Mercy alone. We believe that only through rebirth by the Holy Spirit, and a living faith in Christ, is anyone justified and saved before God. We believe that the invitations of the Gospel are such that whosoever will may come and take of the water of life freely. Yet the wickedness of the human heart is such that none will come to Christ except the Holy Spirit draw them. We believe that true Christians will not finally perish, but will persevere through faith unto salvation. This will be according to the eternal purpose of grace by which we were chosen in Christ from before the foundation of the world. We believe that there will be a general resurrection of the bodies both of the saved and the lost; that all must appear before the judgment seat of Christ to receive a just and final accounting for the deeds done while in the body; that at this day of judgment, the state of all will be unchangeably fixed; that the torment of the wicked and the joy of the righteous will never end. We believe that everyone born of the Spirit is a member of Christ’s Church, and that all such are called by God to live out His life within the context of commitment to a local congregation of the saints. We believe that baptism and the Lord’s Supper are God’s ordinances.